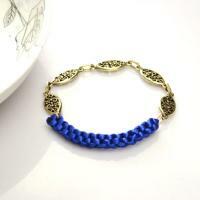 Interested in macramé beaded bracelet tutorial? 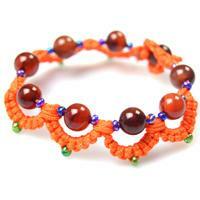 Here, I am going to share you how to make adjustable macramé beaded bracelet. 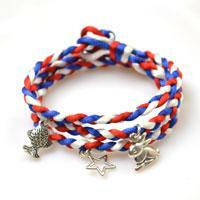 Don’t leave, the result is fabulous! 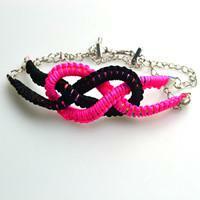 Today’s tutorial is aimed at making tatting bracelet pattern, follow me to make tatting with beads patterns now. 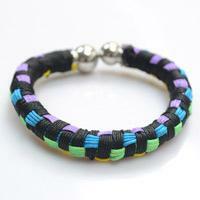 Here I would like to introduce a tutorial on making a colorful Chinese snake knot bracelet. It is quite easy to follow! 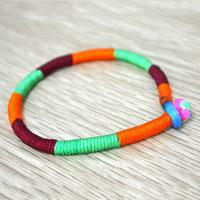 This tutorial will display you a unique friendship bangle bracelet design. 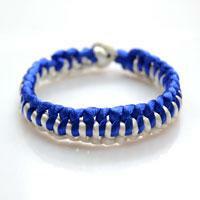 And then show you how to make the color block bangle bracelet with nylon threads. 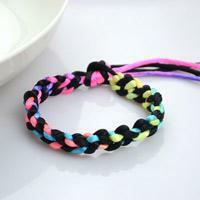 Here's a tutorial about braiding a rainbow bracelet with only one strand of 2mm nylon string. 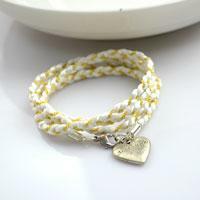 With the same weaving pattern (doing Sun knot), you can finish this one string bracelet within 15 minutes. 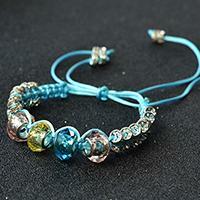 With just a few lampwork beads and some nylon thread, you can create beautiful and simple hand beaded jewelry- it is fun to follow our DIY string bracelet tutorial! 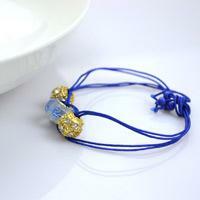 Here are a few images of my latest project for unique handmade beaded jewelry. 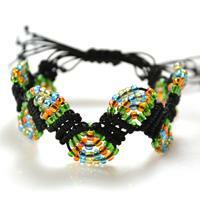 While practicing, you may need simply inches of neon nylon-colored string and beads. 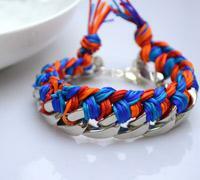 This tutorial is easy to follow! 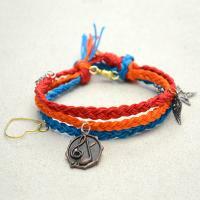 A tutorial to showcase you one of the most trendy leather bracelets diy ideas, use strands of suede cord and nylon thread to create a bracelet for boyfriend and girlfriend. 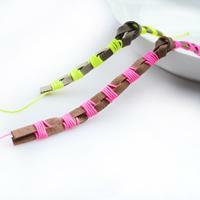 Want to warm your boyfriends with some diy fashion accessories? 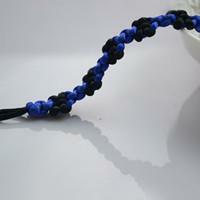 Here the simple project of a cobra braid friendship bracelet for guys is just what you need! 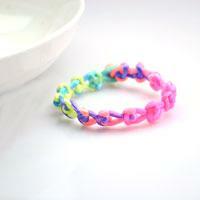 In today’s project, I’ll show you some popular colors to make wrap friendship bracelets. 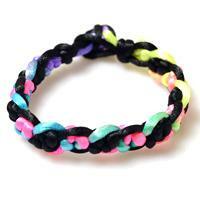 After that, I believe you’ll become handy with facility while trying different string bracelets. 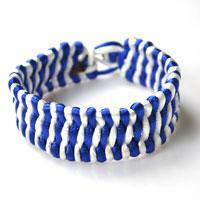 A new tutorial aims to teaching you a different way to make bracelet out of string- sailor knot bracelet.Let’s check this out!